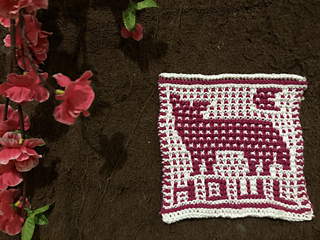 Howl’s it going? 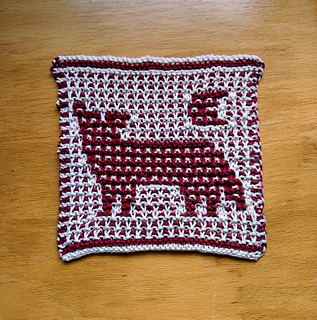 Well, pretty dog-tastic! 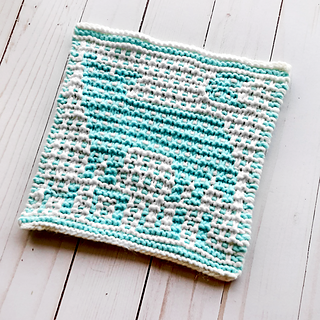 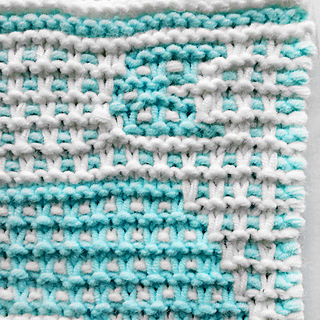 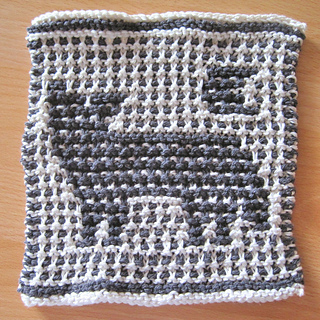 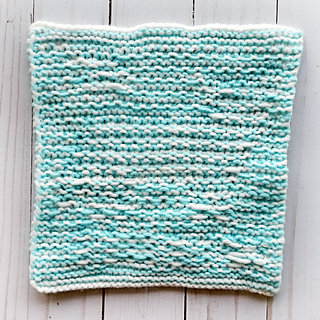 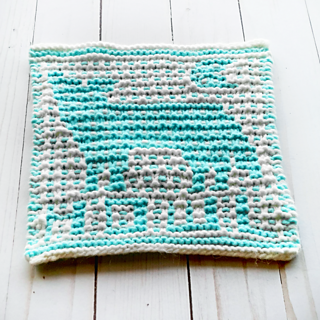 This garter mosaic pattern is the perfect small project for a bit of easy colourwork. Worked with only one strand at a time, knit and slip stitches create a design between two high contrast colours of a wolf howling at the moon. 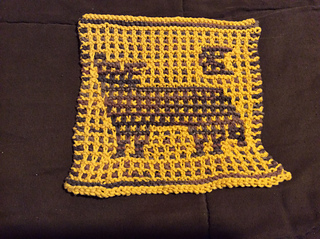 This pattern is written & charted, with options for leaving the HOWL out or including it. 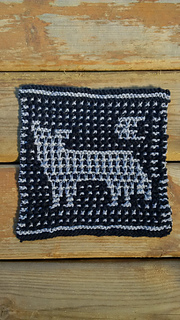 This one is a bit unique in that a third chart (chart only) is included at the end with the wolf centered - it became a popular option with my testers, so I finally decided to include it for all to use. 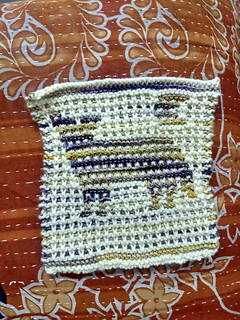 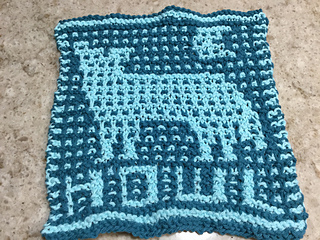 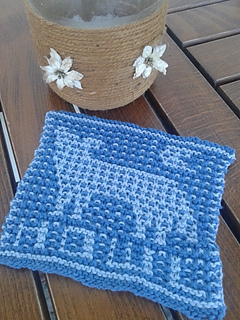 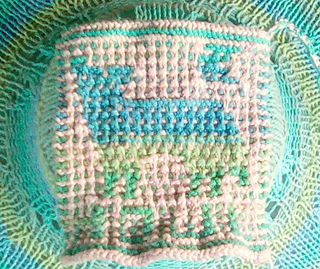 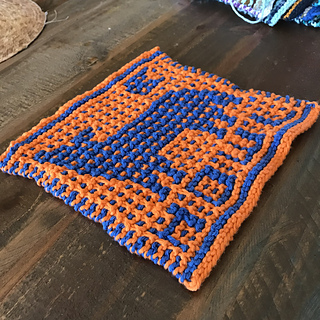 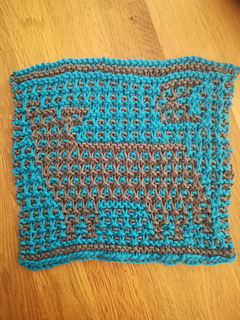 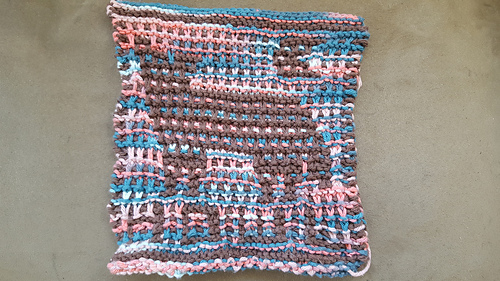 For this square, about half your yardage will need to be of each colour. 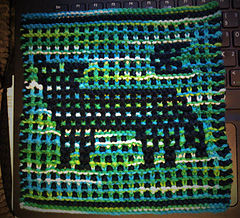 Some variegated yarns will work decently, but strong solid contrasts will show off the wolf best. 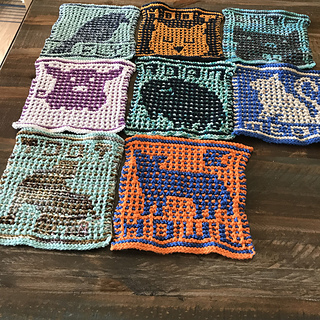 Get creative though - my testers have some really great options on their projects for inspiration! 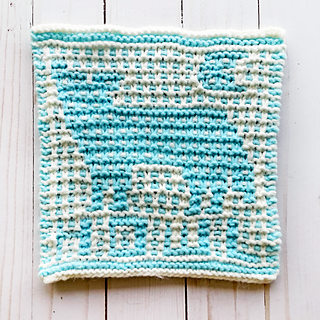 This is block #8 in a series of nursery/baby themed squares that will be released March 2018 - May 2018.